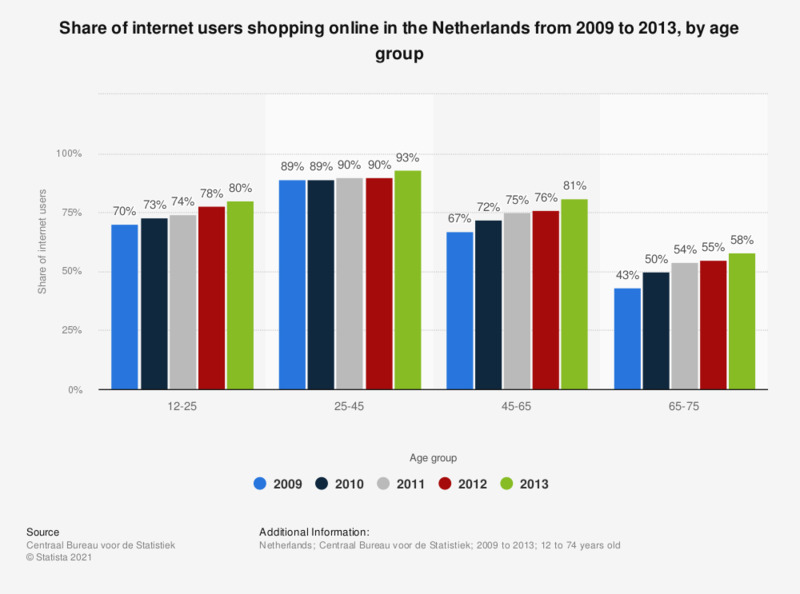 This statistic illustrates the share of internet users shopping online in the Netherlands from 2009 to 2013, by age group. In 2010, 72 percent of internet users from 45 to 65 year old in the Netherlands had purchased or ordered goods or services online. Survey question according to the source: "When did you last buy or order goods or services via the Internet for personal use?"